Fonterra’s sales figures were under-performing in Australia and the marketing team was looking for effective ways improve their sales figures across their full range of products. 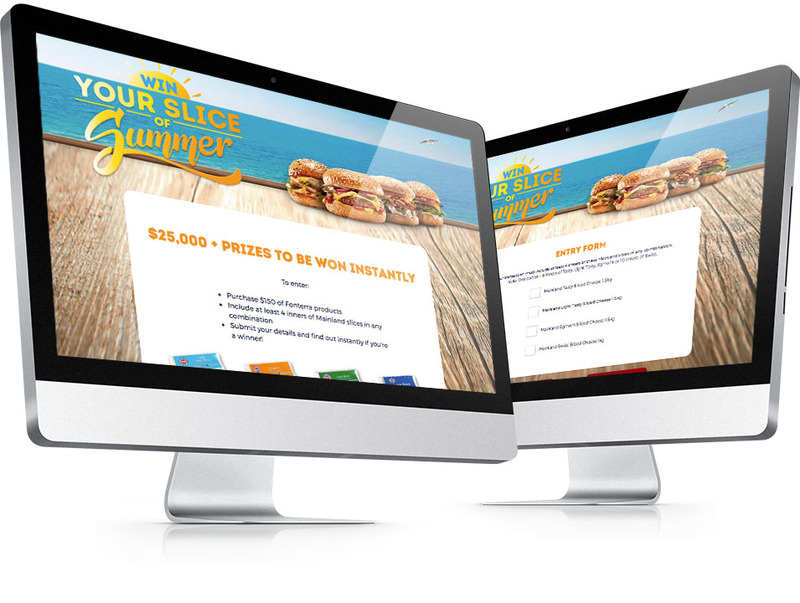 The idea was a competition, Slice of Summer, and they came to Digital on Demand to create a competition webpage that would create the activity needed to see a significant rise in sales figures. We set to work, creating a promotion webpage that gave participants a 1 in 5 chance to win a voucher. With the website up and running, the Fonterra brand was a-buzz with fresh interest, and word-of-mouth activity added huge support to the Fonterra brand and image. 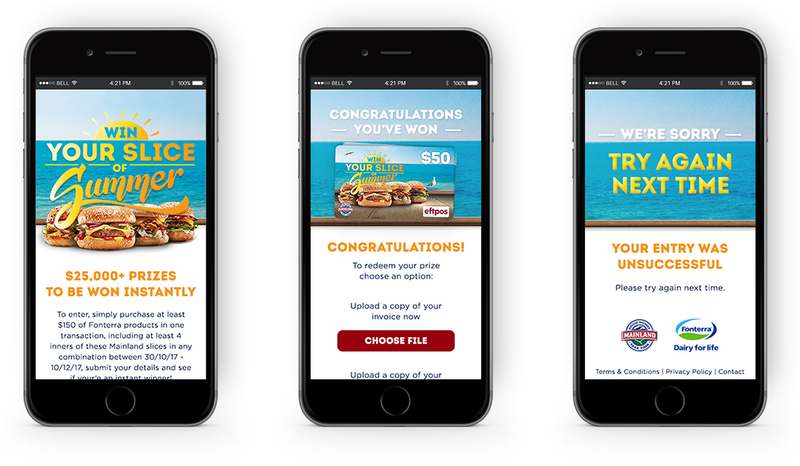 With the national Slice of Summer campaign in full swing, DoD’s fully functioning webpage attracted and netted new customers who had previously been purchasing from other brands. We further supported the campaign with congratulations and reminder emails, increasing Fonterra’s database of potential customers. Demographics gathered regarding customers and potential customers, gave Fonterra further fodder on which to plan future marketing efforts.